I started working on adding some help buttons, there are a lot of things going on in the game, it’s hard for a new player to understand all the functionality of the game. It’s not finished yet, I still need to update it, but it’s a start. I finally added a town and a dungeon music, and implemented the Settings menu. 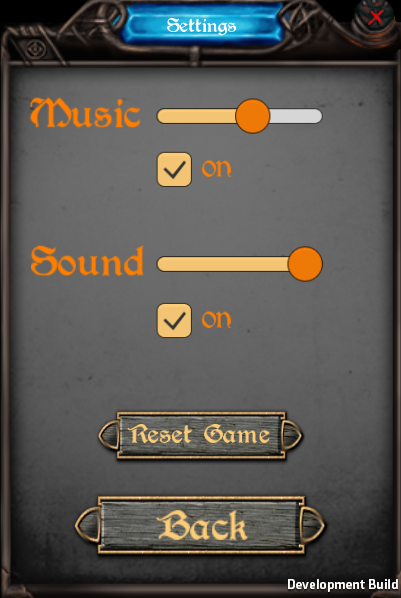 You can change or disable the volume of the music and the sounds. 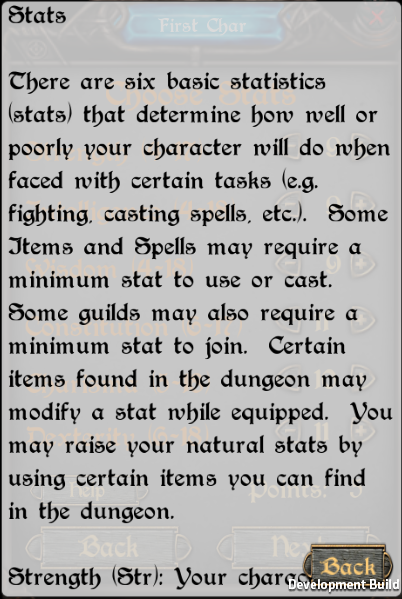 I still need to add a settings button in the Town and Dungeon scenes too. Meanwhile I fixed a lot of bugs again. I hope I will launch a beta version on the Google Play soon. I made a PayPal Donations button too, if some of you want to support me. Even 1 $ helps me, I have no job now, still waiting to finish college. ← Ageing and Resurrection system done!